Purchase this product now and earn 6,070 Reward Points! What is the recommended dosage of Calcium Magnesium Butyrate? Approximately 2-3 caps daily, unless otherwise suggested by a HCP. 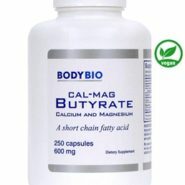 How long will 1 bottle of Cal-Mag Butyrate last? It depends on how many you take daily – they are sold in 100 or 250 count bottles. 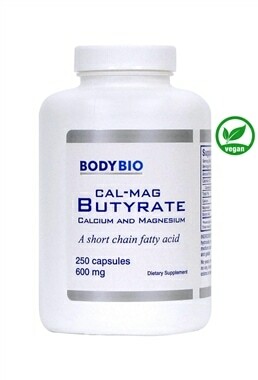 Can Cal-Mag Butyrate be taken on an empty stomach? What are the ingredients in Calcium Magnesium Butyrate? Are there any side effects from taking Cal-Mag Butyrate?